Not widely grown in Australian gardens Scutellaria do make an interesting addition to a cool shaded position in the garden. Excellent in a woodland setting or in a moist shaded position, the attractive flowers add color in darker areas. S. alpina is the Alpine Skullcap, a low growing form that reaches around 20 cm in height. S. baicalensis is the Chinese Skullcap, used in traditional Chinese medicine and also known as the ‘Baikal’ Scullcap. S. galericulata is the Common Skullcap, also known as the Marsh scullcap and grows in damp areas. 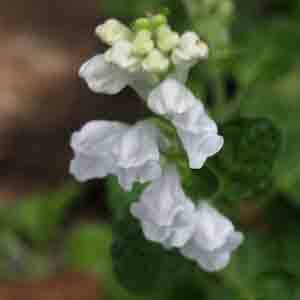 S. nana is the Dwarf Skullcap. With over 300 species that includes S. lateriflora, S. barbata, S. incana and others. Scutellaria are commonly known as skullcaps.